The Mcgill Redmen defeated the New Hampshire Wildcats (NCAA D1 America East Conference) 77-74 to earned their first victory of the 2011-12 CIS Basketball season. The victory snapped McGill’s 10-game losing streak to NCAA teams and marked their first win over a Div. 1 program in three years, dating back to an 88-83 decision over the Virginia Cavaliers on Aug. 31, 2008. Behind strong play from Simon Bibeau and Tristan Renaud-Tremblay the Redmen opened the game on a 15-4 run and led 19-9 after the first quarter. The Wildcats settled down in the second quarter and cut the Mcgill lead to three-points at 21-18 with 6:30 to play. Coach D’eVerio troops responded with six straight points to extend the lead to 29-18 and eventually taking a 34-31 advantage to the locker-room. 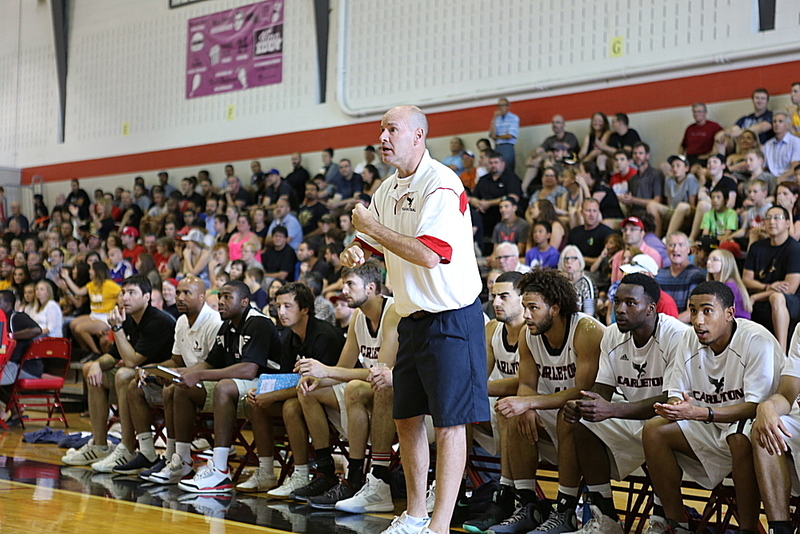 Mcgill continued to execute well inside and got nine points from Bibeau in the third-quarter and opened up a 59-50 margin as the whistle sounded. The Redmen never trailed in the game and shot 44.6 per cent from the field, 28.6 from the three-point arc and 71.4 from the line, compared to UNH, which shot 42.6, 21.7 and 70.8, respectively. Simon Bibeau and Tristan Renaud-Tremblay scored a game high 22 points to lead the Redmen. Winn Clark also reached double-figures with 11 points and five rebounds. The visiting Wildcats got strong performances from Chandler Rhoads 15 points, Alvin Abreu 14 points and five rebounds and four assists and Brian Benson 12 points. “We executed better offensively than we did in our earlier games and our defence was pretty good today in terms of things that we have been working on (in practice),'” added DeAveiro. “We’re still kind of figuring out what our team identity is. But I think you kind of saw our two leaders emerge offensively tonight, the guys that we want to score down the stretch. They also did a good job complementing the third guy (Clark) but we’re going to need a third and fourth guy to emerge. The Redmen’s preseason record stands at 1-4. Mcgill was routed against NCAA competition, dropping games against, The University of Central Florida 100-58, Illinois State 90-66 and Akron Zips 85-57 and Albany Great Danes 83-58. The Wildcats will play UQAM in Mntreal and will head to Quebec City for a date against the Laval Rouge et Or. New Hampshire will cap off their Canadian tour with a game against the Bishop Gaiters on Saturday. Due to floor repairs in Love Competition Hall, the game was played in the old part of the Currie gym, which served as home court for the Redmen from 1939 to 1995. Prior to beating Virginia in 2008, the last time that the Redmen had knocked off a Div. 1 school was on Oct. 19, 1985, when they came away with an 86-80 decision over the Maine Black Bears.